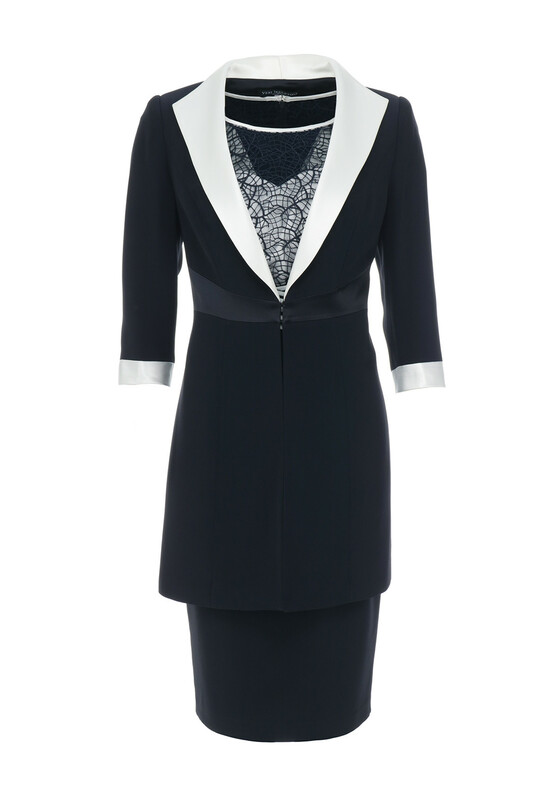 Timelessly elegantly, this navy dress and coat occasion wear outfit from Veni Infantino for Ronald Joyce would be a classic choice for a Mother of the Bride or Groom. 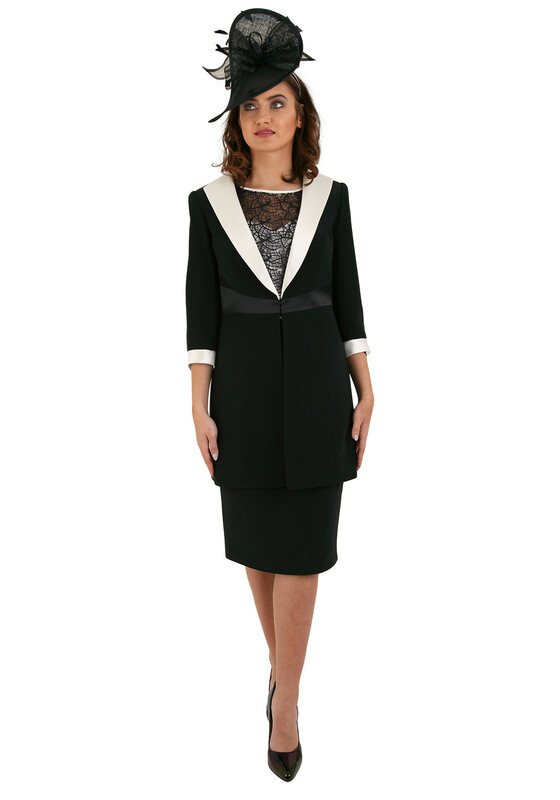 The slim fit dress is made from lightly woven fabric with white ribbon trim at the waistband and styled with a sleeveless pencil shape. A cobweb lace overlay on the bodice is a stunning design detail. 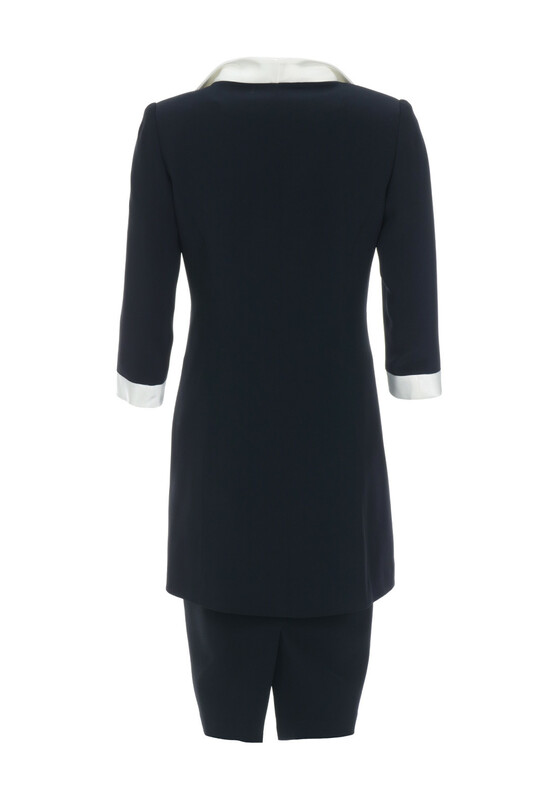 The matching coat has a white lapel collar and cuffs on the cropped sleeves. 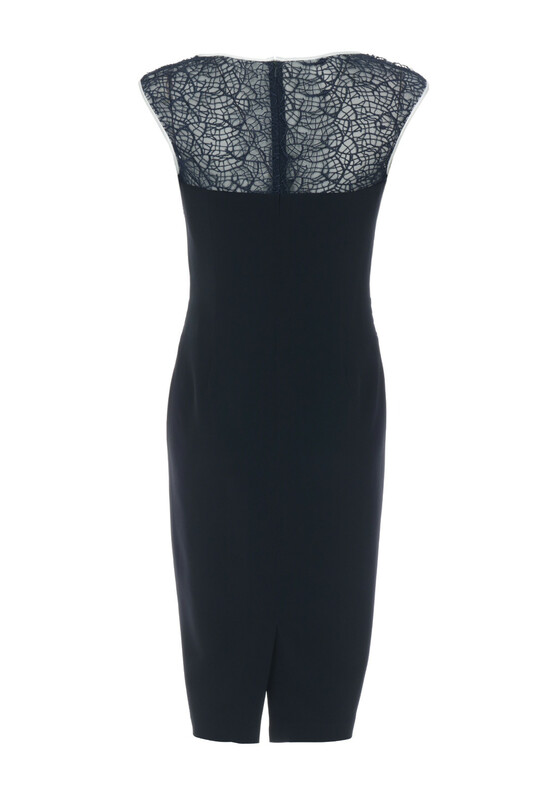 Length: Dress - 104cm approx. – midi length. 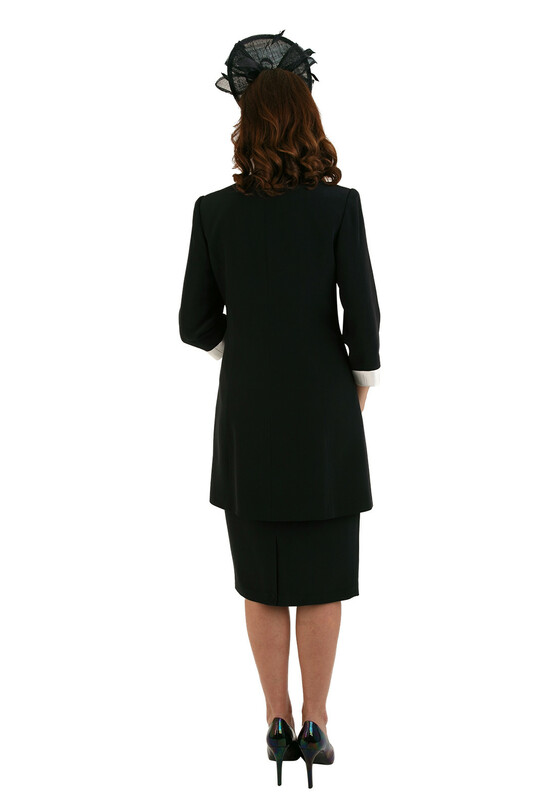 Coat – 85cm approx.